Like many other contractors in the oilfield, Haltech Production Testing had taken a step in the right direction by moving their field ticket system from a set of paper ticket books to an Excel-based ticket system. But even with that step, the process was fraught with error and inefficiency. Guys would forget to increment their ticket number when creating new tickets, resulting in duplicate ticket numbers and over-writing of yesterday's tickets. And no matter how much they tried to lock down formula cells in those worksheets, the guys would somehow manage to accidentally edit them, resulting in billings that were sometimes short by a couple thousand dollars. Worse yet, guys would often forget to send their completed tickets via email until weeks or sometimes even months after the work was performed, resulting in unnecessary and costly delays or omissions in billing. About six months ago, Haltech replaced their Excel–based system with the Contractor's Edge software, which they run in a "Cloud environment" used by both the office personnel and the field workers. Users can log onto the system from anywhere that they have a strong internet connection to set up new jobs and rate information, to create daily work tickets, and to complete their billing with far more efficiency than before the software was in place. Micah Meunier, Haltech's general manager, reports that the software has saved them a phenomenal amount of money. These savings have come in the form of reductions in missed billings, reduction in the amount of manpower required for billing, and reduction in the invoicing days outstanding. Micah used to generally be a month behind on his invoicing relative to the date the work was actually performed, and the billing process used to take him 2 to 3 days every two weeks. He is now able to invoice every week for the prior week's work, completing the task in a half a day. The company's bank account is much steadier and the bank roll has also come way up since adopting The Contractor's Edge. The entire communication process between the office and the field has also become much more streamlined. Each time a new job comes up, Micah sets the job and the rates up in the software, eliminating the room for rate errors when guys build their tickets. This ability to communicate directly and immediately through the software has eliminated time-consuming phone calls back and forth between the office and the field, and allows for a much more efficient work flow. Plus, because the guys are building their tickets directly in the software, it effectively eliminates the room for missing tickets or for incorrect math formulas. Management also likes the fact that they have much better visibility on daily revenues. Prior to the software, they used to track these statistics manually via spreadsheets, and late tickets often rendered the reports meaningless. Now, each crew's tickets are entered immediately by both the day shift and night shift operators, and the owners and managers can see the data real time. When asked what the biggest hurdle was to get the software up and running, Micah reported that the single biggest hurdle was freeing up his time to set up and learn the software. But once he was able to carve out the necessary time to get the data entered and gain comfort manoeuvring in the software, he says the software has been very easy to use, and the pay-off's have been worth every bit of effort both for the office staff and the field workers. Haltech Testing Inc. is a local company based out of Baytree, AB that provides a wide variety of oil and gas well production testing equipment and highly qualified well testing personnel that are highly trained. "We are unique in so many ways, especially when it comes to our payroll for employees and subcontractors. We have a lot of different scenarios to accommodate, and Caribou was able to accommodate the majority of our wishes and wants." Oilfield contractors vary widely in their motivation for adopting new software systems. For Candoo Oilfield Services, out of Fort St. John, BC, the biggest reason for seeking a system to supplement their Sage accounting package was, first and foremost: job costing. Prior to adopting the Contractor's Edge, Candoo attempted to use Sage as their job costing tool, but as Roxanne Jaschke, Candoo's Office Manager, observed, "Sage just doesn't cut it when it comes to job costing." Sure, she was able to allocate payroll costs to her jobs through Sage, and she was able to allocate other direct material costs, but for an equipment-intensive business, she still couldn't adequately account for the costs of these assets on each job. The Contractor's Edge allows her to account for payroll and material costs for each job, and it also allows her to capture both the fixed and variable costs of their equipment units on a job by job basis, using a standard costing methodology. In addition to being able to set up equipment charge-out rates for each unit, she can also assign standard costs (per hour, per day, or per KM, for example) to those assets. Thus, job profitability reports from the Contractor's Edge can provide a far more complete picture than she was able to obtain from Sage; she can account for direct labour costs, equipment costs, material costs, and any other 3rd party costs associated with each job. The Contractor's Edge has also helped Candoo streamline the accounts receivable and accounts payable functions. As they enter daily work tickets into the system and manage them through the approval process, the information feeds directly into the invoicing process, where users can easily batch multiple tickets onto an invoice, and then post that invoice directly into Sage, with no need to re-key the data. On the opposite side of the coin, as the field tickets are entered for billing, the software takes the hours for each guy, applies the overtime rules to those hours, and generates payroll statements that capture hours worked, subsistence allowances, truck reimbursements, etc. So the single entry of the work ticket drives both the billing and the payroll and equipment costing processes. With 100+ employees and subcontractors, speeding that payroll process up has been a big benefit for Candoo. "We are unique in so many ways, especially when it comes to our payroll for employees and subcontractors. We have a lot of different scenarios to accommodate, and Caribou was able to accommodate the majority of our wishes and wants," according to Roxanne. We asked Roxanne what advice she could offer to other companies that were embarking upon a new software implementation. "Do your homework to learn the software" she said. "Once you get in and working with it, it is very user-friendly. That said, you still have to commit to a parallel process to ensure you've covered all your scenarios in the system before cutting off your old system. It takes commitment, but the pay-off is well worth it." Candoo Oilfield Services Inc. is a privately owned pipeline and facility construction company located in Fort St. John, B.C. Serving the B.C. Peace for the past 18 years. "This type of customization is a big deal for us, and not all software providers are willing or able to do such customizations for their users." Prior to adopting Caribou's Contractor's Edge, JVC was relying on a myriad of spreadsheets to generate field tickets and invoices, and to track job budgets. As they continued to grow and expand their business, they quickly realized that they were outgrowing their system of spreadsheets: paperwork was taking up more and more time — time that the office staff simply did not have — and the spreadsheets left too much room for error. Brad Clements, one of JVC's key administrators who also has many general office responsibilities, understood the benefits and efficiencies that come from managing data in a relational database as compared to spreadsheets. Databases allow for easy data filtering on a variety of data points without the need to copy and paste from one spreadsheet to the next, or rely on relational links that are easily broken, and after discussion with company president Joe Verbeek they knew it was time to make a change. JVC came on board with the Contractor's Edge in the spring of 2013 with the primary goal of streamlining the ticket tracking and invoicing process so that they could continue to expand their business without a proportional increase in office staff along the way. The investment is paying off. According to Brad, JVC has now eliminated the vast majority of their spreadsheets. "We spend about a third of the time we used to spend on the invoicing process, and probably about a fifth of the time we used to spend on overall project tracking and reporting. Plus, our ability to easily manage and report on project charges against budget caps from our customers has improved our ability to negotiate for more money if required, and has enhanced our overall level of professionalism." Because JVC does so many large projects that have specific Purchase Orders covering distinct jobs and even phases of jobs, this ability to track the progress of charges against specific jobs is critical to them. If they perform work on a job that exceeds the P.O. amount, JVC in most cases cannot recover that money. While JVC can generate reports in Contractor's Edge to track job progress against budgets, they often were so busy that if they missed a couple days of running the reports, they ran the risk of exceeding budgets. They had Caribou build them a custom feature that allows the ticket entry personnel to visually see what percentage of the budget has been used to date on that project. As they build each ticket, they immediately see the effect of that ticket on the budget as well. "This type of customization is a big deal for us, and not all software providers are willing or able to do such customizations for their users," says Brad. "We find the system to be very robust and logical to follow." Joe Verbeek Contracting Ltd. (JVC) is a general construction contractor in Edmonton, Alberta. JVC provides a variety of services including pipeline construction and inspections, general site maintenance, and site clean-up/re-mediation with a primary focus on the oilfield and pipeline sectors. "Like anything that's new, it takes a little work in the beginning to get it set up and to learn how to use it, but once you put the time in, the software is very user friendly, and it enforces consistency and structure. And Caribou's support services are right there: very prompt, very friendly, and very helpful!" They adopted the Contractor's Edge almost two years ago, after having been on the lookout for a system for a number of months. Their primary goals with a new system were to keep track of where the equipment was at any point in time, to streamline the overall billing process, and to have an easier mechanism to prevent accidental double billing or missed billing. The software has allowed them to achieve these goals, making it well worth the investment. Prior to adopting Contractor's Edge, they had relied heavily on myriad Excel spreadsheets to keep track which job site each equipment unit was on, when the equipment went out, when it was last billed, what billing rates had been agreed to with the customer, etc. That worked with 40 equipment units, but the more they grew, the more cumbersome, time-consuming, and error-prone the spreadsheets became. The Contractor's Edge software has eliminated the need for all those spreadsheets. According to Sarah McKnight, the software has helped immensely to streamline their entire tracking and billing process. Sarah estimates she has saved at least two hours a week that she used to spend with redundant data tracking from one spreadsheet to the next, not to mention the ease and speed of invoicing. "It's so much easier to refer back to the software for a history of the job or the piece of equipment than it is to go through a zillion spreadsheets," says Sarah. When Wild West sends equipment to a job site, they record the job information and all the equipment units on a "dispatch ticket" in the software. When it's time to bill for the equipment, they convert that dispatch ticket to a rental ticket. The software automatically counts the days out for each piece of equipment, apply the rates entered on the dispatch ticket, and generates a professional rental ticket that Wild West then emails to their customer contact for approval. The software makes it easy for them to keep track of the tickets that are still awaiting signature, and once they receive the signed ticket back, they simply click a button to generate an actual invoice from the rental ticket. They can then "post" that ticket directly to Quickbooks using Caribou's integration feature without any re-keying of the data. And when the yard superintendent comes in and asks how many 400 barrel tankes they have in their total fleet relative to how many they have in the yard, Sarah can just click a button and answer the question, without anyone having to run around the yard, or dig through files of open rental jobs. "Like anything that's new, it takes a little work in the beginning to get it set up and to learn how to use it," says Sarah. "But once you put the time in, the software is very user friendly, and it enforces consistency and structure. And Caribou's support services are right there: very prompt, very friendly, and very helpful!" Wild West Oilfield Rentals is an equipment rental company located in Grande Prairie, Alberta. Over the last decade, they have grown from about 40 pieces of equipment to a current fleet of over 1,000 units. Their fleet includes an array of oilfield equipment ranging from 400 barrel tanks, to generators, to rig mats, to numerous things in between. Prior to adopting the Contractor's Edge, Jacqueline Boulet, the Accountant Administrator at Magnum was handling her invoicing through Quickbooks, and then using a system of complex spreadsheets to maintain the detailed job costing that the company's owner, Moe Blackburn, required in order to manage his business effectively. She also handled payroll for Magnum's 50+ employees in spreadsheets, which meant that she was handling her field tickets two or three times: once to generate invoicing, again to handle payroll, and yet again to drive her job costing. Now she handles the invoicing, the gross payroll, and the job costing all through Caribou's Contractor's Edge. The time savings and elimination of duplicate data handling from adopting the Contractor's Edge have been a significant benefit to Magnum, both in terms of time savings and in terms of error reduction. Jacqueline estimates that they save a total of two days every two weeks, just on the payroll side of things. The Contractor's Edge allows her to enter her field tickets in such a way that the entry drives both the billing and the payroll side of the equation with one single entry. In addition, from that single ticket entry, she is able to pull detailed job costing reports on every single job they do. When asked why she liked having a separate software system to supplement her financial accounting package, she said: "Systems like Simply Accounting and Quickbooks are just not built to allow for the detailed job costing that we need. We'd end up with an unmanageable set of [General Ledger] codes that would make our financial tracking way too cumbersome. But tracking the data in spreadsheets means you are continually recreating the wheel. With Caribou, the job cost reports allow us to easily monitor our margins on each aspect of each job without any re-keying. When it comes to preparing bids for new jobs, that detail is critical." "Anybody who wants to grow their business needs to accurately determine if they really are making money or not. And they need to be able to do that without duplicating data entry every step of the way." Magnum Energy Services Ltd. Is located in Bonnyville, Alberta and offers turn-key media blasting and coating services for construction, maintenance and oil production industries. Before Swartzy Welding came on board with Caribou, they were managing their field service tickets through a combination of Excel spreadsheets and Simply Accounting. When they heard about Caribou, they were somewhat skeptical that it could handle their requirements, but were open to at least learning more because their payroll process was such a time-consuming nightmare. When they realized that the Contractor's Edge software would allow them to drive the payroll off the field ticket entries that the operations manager was already making for billing purposes, they were convinced of the need to make the investment in the system. Their investment paid off. Shortly after they purchased Caribou's system, they doubled their head count from about 20 to nearly 60 workers. Dallas Schwerdt, who handles the payroll part of the business, figures that without the software, she would be spending twice as much time on her payroll process; in essence, she completes her payroll in a little over a day: the same amount of time as before the software, but with twice the staff. Terry Schwerdt, the operations manager, originally agreed to use the software because he knew it would be such a time saver on the payroll side, but thought he was quite comfortable with the spreadsheet system he had been using for the last couple years. In retrospect, however, he has realized substantial unexpected benefits from the system. "The software really speeds up our job costing process. Plus it helps us manage out-of-scope work more efficiently, which means we can manage our change orders with our customers better," says Terry. "If I wanted to see how much we billed on a particular job before I had the software, I used to have to pull all the invoices, take out a calculator, and add it all up. Now, I can just run a Job P&L out of Caribou, and I see all my revenue, all my hours worked, and all my costs. It is actually stupid how easy it is compared to what I used to do." 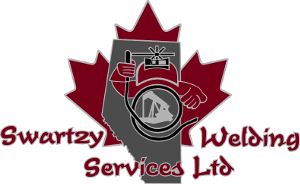 Swartzy Welding Services Ltd. has a history in the oilfield construction industry that exceeds 25 years. In 1983 it started as a sole ownership and in 1997 became a limited company under the direction and ownership of Garry Schwerdt. Over the initial years, Garry developed expertise in all aspects of pipeline and facility construction; primarily as a B-Pressure Welder. This evolved into an oilfield construction company that has provided construction services to many oilfield companies. "Caribou staff was 100% on top of everything that we needed. Every time I needed help, someone was there. It was great. You guys are fantastic!" Little Guy adopted Caribou's Contractor's Edge software system about 6 months ago, and Sandy Williamson, the office manager, says "Quite honestly, we'd be lost without the software. We are in it every day, checking inventory, entering tickets and creating invoices." According to Sandy, the software is the central system for all her paperwork. When the guys receive a call from a customer, they decide what assets to send out to the job site based on inventory availability. When the initial deliver ticket comes across Sandy's desk, she immediately sets up that job in the Contractor's Edge, and assigns the appropriate assets to the jobs immediately, which removes them from inventory automatically. She generates her first invoice on that job almost immediately, so that they can get the trucking billed as soon as the assets are delivered. She then does her billing on a monthly basis, and can easily see in the software what jobs need to be billed. The software will automatically put all the proper assets onto the invoice and auto-count the number of days within the date range that Sandy selects for her invoice. Depending on the nature and length of the rental, she may generate an invoice each month for 2 or 3 months, until the job is complete. Once the job has ended, she closes off the job (to free up those assets for use on the next job), creates the final invoice, and she's done! Sandy also commented that the software provides valuable business reports to the owner in addition to simplifying her life. "The reports are fantastic. [My boss] is in the system on a daily basis, and the guys really like the revenue reports." There are a variety of reports in the system that show revenue invoiced by each piece of equipment, as well as accrued revenue based on assets assigned to each job. Sandy joined Little Guy right at the same time the software was being implemented, so she never had to deal with the paperwork using the manual methodology that was followed before the Caribou system was adopted. That said, she was familiar with the old method, and made the following comment: "The software is 10,000 times more efficient than the old spreadsheet system. I honestly don't know how (in the world) the owners were able to keep track of inventory before Caribou!" When asked how easy the program was to learn, Sandy said, "It was really easy to learn and really user friendly. I followed the customized user guide that Caribou provided, and between that and the phone and internet assistance that your support people provided, it was fast to learn. Quite honestly, it's fun to use!" Little Guy Oilfield Services is a rig mat rental company in Leduc, Alberta. Little Guy Oilfield Rentals was founded in the last quarter of 2004 following extensive market research into the Western Canadian rig matting supply industry. Studies revealed the need for a better, more durable product quality than was generally available on the rental market. And, it had to be readily available at a fair price. There was also a great deal of concern about ground disturbance and reducing environmental impact, especially in eco-sensitive zones. "We have seen a notable improvement in our overall margins in the last quarter now that we are using the Contractor's Edge." As Rock Oil's volume of business has grown over the years, they became increasingly aware of the need to supplement their accounting system so that they could streamline the management of all their field ticket data. Their goal was to have a system that would allow field workers and supervisors to enter their service tickets directly into the software so that they could be e-mailed to the consultant electronically. This approach would avoid the need for expensive, pre-printed paper tickets, and it would also avoid the inevitable room for error associated with hand-written field tickets that can be fraught with incorrect rates and math errors. They also wanted a system that would allow them to keep better track of their extensive parts inventory. Specifically, they wanted their field guys to have access to information about what parts were in stock, and as parts were used on work tickets, to have them automatically removed from inventory. Furthermore, they wanted to ensure that as parts were used on work tickets, the proper charge-out rates were captured automatically, removing the guess work from the ticket pricing. In the fall of 2010, Rock Oil adopted Caribou's Contractor's Edge to address their needs. "The software has really helped us get a clearer picture of all that is going on in the field, and has helped us catch and correct billing mistakes and oversights that were simply not being caught before we adopted The Contractor's Edge," says Blaine Woods, one of the owners and a primary user of the software. "It's also really helped us speed up our field-to-invoicing cycle. We often used to have a three week delay between the time work was performed and when it was invoiced. Now we can get our invoices out within 3 days of completing the work!" Another benefit of having the field workers entering their tickets directly into the Contractor's Edge software is that it helps improve the communication between accounting and operations. Now that the guys are completing their own service tickets, for example, they avoid the step of the accounting clerk having to try to determine the exact parts that should be included on a customer invoice when the field guy has perhaps used a different part numbering convention or different abbreviations than the accounting clerk. Now, the field guy creates the service ticket, and then that exact service ticket information flows right on through to the invoice. There is no need for an accounting person to re-key the data. Rather, they can simply review it to ensure all charges and hours look correct, and then mark the ticket as ready for invoicing. In addition, because the hours information on the field service tickets flows through to the gross payroll statements in the Contractor's Edge, there is no longer a need for the field workers to fill out paper time sheets. Instead, their time is entered automatically when they enter their service tickets. Derek Woods, Rock Oil's President, has also commented on the benefits that he can see from adopting The Contractor's Edge. "The software has given us a whole new level of accountability. For example, now that we can see part costs and corresponding charge-out rates as we are entering service tickets, we are doing a far better job of charging accurately for our parts relative to the costs we are incurring. We have seen a notable improvement in our overall margins in the last quarter now that we are using the Contractor's Edge." Derek also noted that they are finding the job profitability reports to be quite informative in terms of helping them understand where they are making money and where they have room to improve. Based in Camrose, Alberta with satellite offices in Grande Prairie, Calgary, Red Deer, and the Edmonton area. They perform well site optimization and monitoring services for major oil companies in Alberta and neighbouring provinces. In the last 10 years, they have grown from about a half dozen employees to over 30 employees in multiple business divisions. Now that Outlaw has the Contractor's Edge, they are no longer having to rekey ticket information into their customer's online billing system. Instead, they generate an electronic export from the Contractor's Edge and are able to upload it directly into the online billing system. Outlaw continues to use Simply Accounting as their overall financial system, but they now generate their invoices for their customers through the Contractor's Edge. They have also eliminated the Excel spreadsheets from their office process, reducing the inevitable room for errors with spreadsheet formulas and copying/pasting/sorting. In addition, because the Contractor's Edge operates in a multi-user environment, two people can be entering tickets at the same time, an advantage they did not have with Excel. Another advantage of The Contractor's Edge over Excel is the reporting that the system affords. Once the tickets are entered into the software, it is simply a matter of a few clicks to generate customer invoices, generate reports showing truck hours and delivery information, and generate payroll statements. There is no need to manipulate the data manually to generate the necessary reports. The users at Outlaw find the reports to be quick, easy, and useful because they are tailored to Outlaw's specific business requirements. As Roxanne Stetzer, one of the main users at Outlaw observed, "I found the software very user friendly and easy to learn. I would estimate that between the ease of creating the payroll reports and the elimination of double entry of data for our online invoicing, we save about 5 days a month of time compared to our approach prior to getting the software. This has made a huge difference in terms of keeping my other responsibilities totally caught up. I love the program, and we seem to be breezing through the months with The Contractor's Edge!" Outlaw Oilfield Services out of Edson, Alberta, provides tank truck services to major oilpatch companies in Alberta.